Community health assessments (CHAs) provide information for problem and asset identification and policy formulation, implementation, and evaluation. 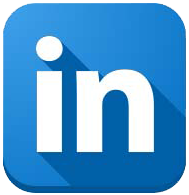 It gives an organization or community a snapshot of what is needed, what its respondents have identified as successes as well as concerns. A Community Health Assessment should be part of an ongoing broader community health improvement process. A community health improvement process uses CHA data to identify priority issues, develop and implement strategies for action, and establish accountability to ensure measurable health improvement. 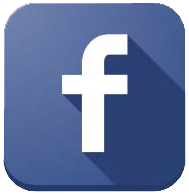 The following link provided a rich resource of organizations who have taken the lead on this process, either by assisting with community health assessments or by conducting their own. 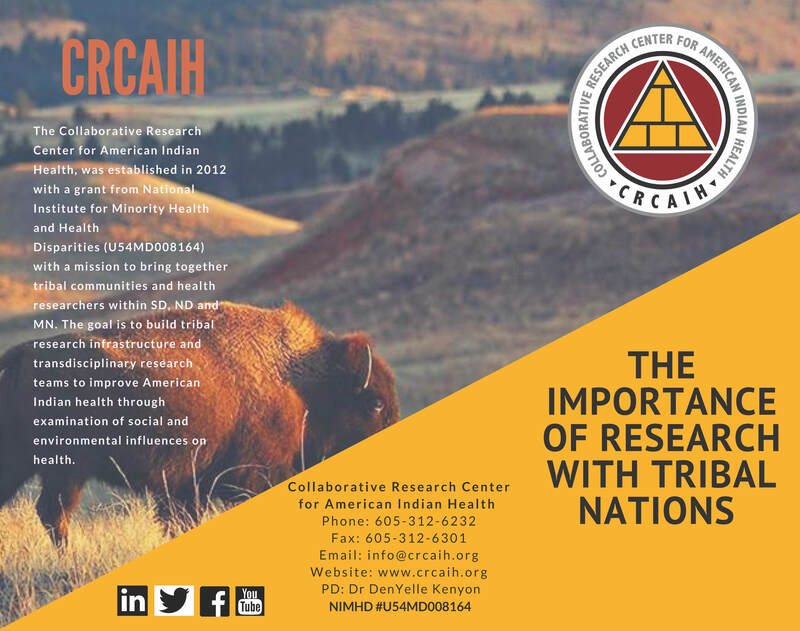 In the spring of 2015 the Community Engagement and Innovation Division of the Collaborative Research Center for American Indian Health partnered with two South Dakota tribes to host community research conferences. This project was supported by the National Institute on Minority Health and Health Disparities of the National Institutes of Health under Award Number 1R13MD009548-01. 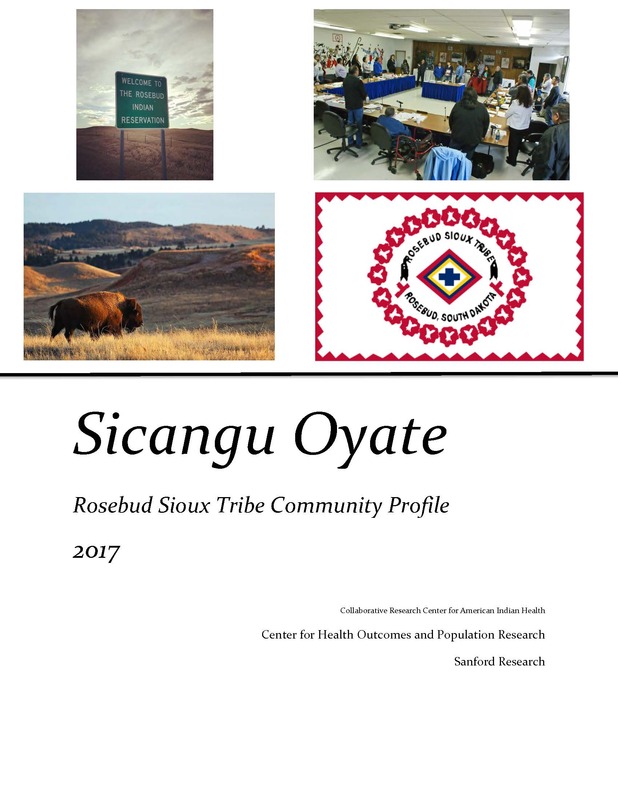 The goal of these conferences was to bring together tribal leaders and research partners to report back to the communities what has been accomplished to address their health needs and future directions for continued health improvement. The Community Members' Guide to Submitting a Community-Engaged Research Federal Grant Application was written for community-based organizations interested in community-based research partnerships with academic researchers. 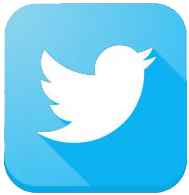 In addition to the guide (PDF), this web page includes an Appendix and other helpful resources. Click here for a great resource developed by Tuft's Clinical and Translational Science Institute. 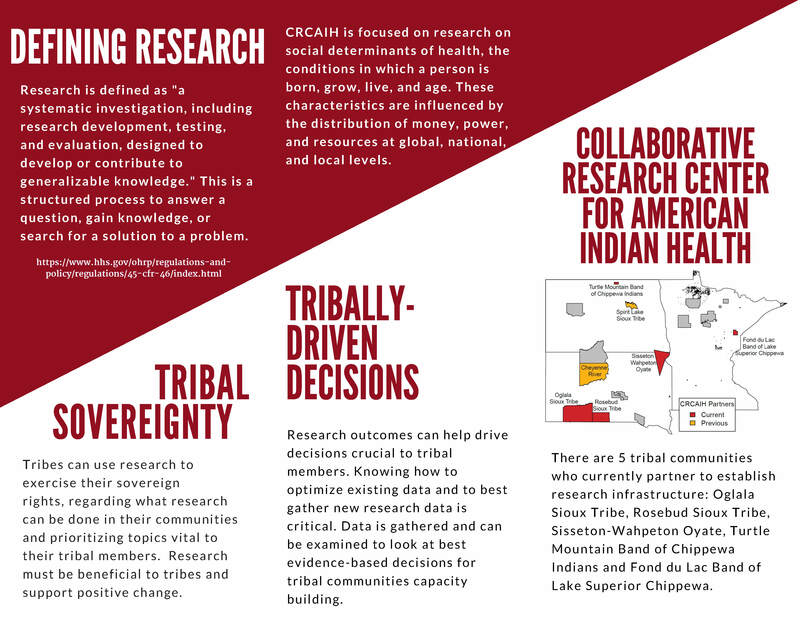 This trifold was developed by CRCAIH's Community Engagement and Innovation Division in collaboration with CRCAIH Tribal Partners as a way to briefly introduce the importance of research in tribal communities and to inspire conversations about research, as well as to provide contact information specific to each Tribal Partner.